Dr. Heiko Manninga is Managing Director of NEUWAY Pharma. In only a year under his leadership, NEUWAY has built up the company and initiated several preclinical projects. Dr. Manninga also established a collaboration with a major pharma-ceutical partner and acquired additional public funding to support the further research program of NEUWAY Pharma. Dr. Manninga studied chemistry in Göttingen, and received his PhD in 2005 based on work at Max Planck Institute of Biophysical Chemistry in the lab of Dr. Thomas Tuschl, a pioneer in the field of ribonucleic acid interference (RNAi). 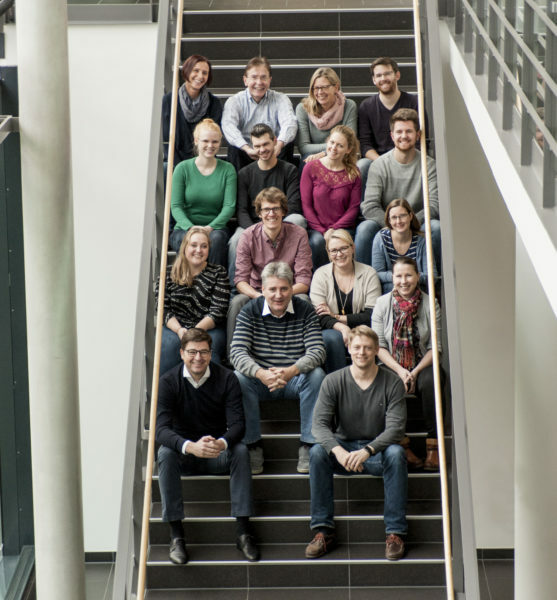 After his post-doctoral studies, Heiko switched to the field of drug delivery as project director of Virus-Like Particles (VLP) Technology at the Life Science Inkubator (LSI) in Bonn. After his successful tenure at the LSI, Heiko served as interim manager during the spinout and funding process of the then-new company called NEUWAY Pharma and raised 6.725 million Euro from private and public investors during series A financing. Dr. Rudi Scherhag is Managing Director of NEUWAY Pharma GmbH. Prior to joining NEUWAY in July 2015, he spent 5 years at ImClone Systems International, where he was instrumental for setting up ImClone´s new international clinical development organization, initially as Head of Project Management and from 2010 as Managing Director. From 2001 to 2008 Rudi worked at Heidelberg Pharma as Head of Project Management & Business Development, CBO and member of the Board. Here he managed oncological projects and was responsible to form R&D partnerships. Rudi spent ~15 years with Boehringer Mannheim in product and project management with increasing responsibilities. As Global Project Leader for Epoetin beta he managed all life cycle activities (line extensions, new product forms) that formed the basis for this compound to become a block buster with peak sales of several billions USD. Rudi started his professional career in 1982 at Merckle as manager scientific affairs responsible for scientific advice for a wide range of pharmaceutical products and clinical indications. Rudi has a Diploma and a PhD in Science of Nutrition from the University of Bonn, Germany. Dr. Oliver Ernst is Managing Director of NEUWAY Pharma GmbH. Before joining NEUWAY in Nov 2018, Dr. Ernst built up and headed the Intellectual Property (IP) Management Department at Brainlab AG, Munich, a software-driven medical technology company. In the function as Director IP he defined and implemented business-related IP strategy including patent portfolio restructuring, process for generating systematic synthetic inventions, cost control, competitor profiling and capitalization strategy. Between 2011 and 2012 Dr. Ernst served as patent portfolio manager in the Intellectual Property Department of BASF Plant Science, Gent focussing on plant biotechnology. From 2008 to 2011 Dr. Ernst started his professional career in the field of Intellectual Property at the Life Science Group of Vossius & Partner, a patent law firm located in Basel. In this function he supported drafting, filing and prosecuting patent applications in the field of Life Science, Health Care, Pharmaceutical Industry, Engineering as well as assisting Opposition and Appeal procedures in front of the European Patent Office. Dr. Ernst graduated in biotechnology engineering at the Technical University Berlin. In 2008 he received his PhD for his work at the Fraunhofer Institute for Biomedical Engineering (IBMT) focussing on the development of thermo-responsive polymeric surfaces in microfluidic devices controlling eukaryotic cell-type specific adhesion for Lab-on-Chip application.